Explore the wonders and secrets of the United Kingdom. 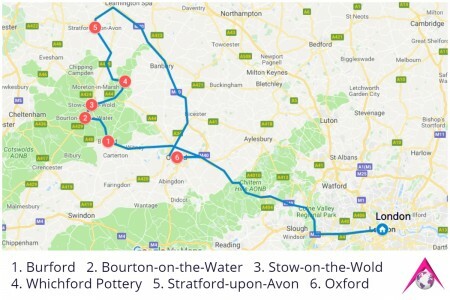 We offer wonderful Private Day trips from London to some of the most famous places in the UK. Do not miss the magical Stonehenge, the magnificent city of Brighton, the university city of Cambridge, the glorious Roman Baths in Bath and the charming legends about the life of Lady Godiva in Coventry. Also you might like to visit the stunning castles of Kenilworth, Bodiam, Hever and Arundel. Be inspired by the cathedrals at Ely, Canterbury, Salisbury and more. 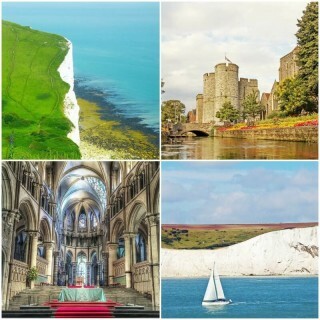 Fall in love with the scenery of the White Cliffs of Dover, the amazing Cotswolds, High Weald, South Downs National park …. and much more !!! You are free to modify the existing trips according to your preferences. Just let us know what you would like! 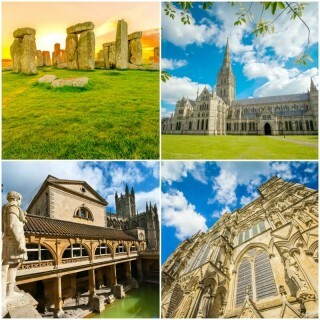 Book our fabulous trip to Stonehenge, Salisbury and Bath. Explore the mysteries and legends of Stonehenge. Visit the Salisbury Cathedral, famous for the tallest spire in the United Kingdom and touch the healing waters of the Roman Baths in Bath. A great day trip to Oxford and the Cotswolds. 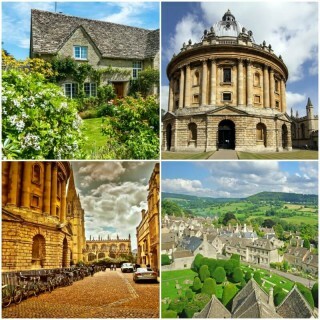 Walk through the magical streets of Oxford and reveal its hidden secrets. Visit the magnificent Cotswolds and explore its outstandingly beautiful villages and towns. Such a wonderful trip to Coventry, revealing the legends and secrets of Lady Godiva. Visit Kenilworth Castle, which has been at the centre of England’s historical affairs for 900 year. 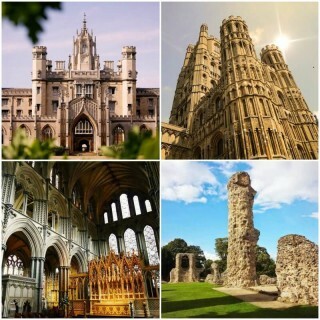 Enjoy a fascinating trip to the city of Cambrige, have an amazing tour of Ely Cathedral and visit Bury St Edmunds Abbey, once one of the richest Benedictine monasteries in England. A day trip to the beauties of Kent. 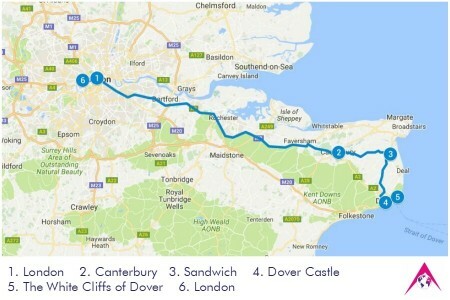 Visit the famous Canterbury Cathedral, eat delicious sandwiches in Sandwich, feel the strength of Dover Castle and be inspired by the White Cliffs of Dover, one of country’s most spectacular natural features. 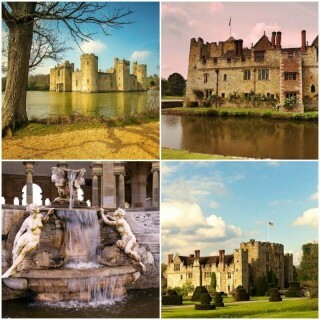 Experience 700 years of history at the romantic double-moated castle once the childhood home of Anne Boleyn. Visit the 14th century Bodiam Castle, one of Britain’s most picturesque and romantic ancient monuments. Stroll along Brighton’s beautiful beach and enjoy the town’s unique and elegant architecture. Visit the extravagant Royal Pavilion, which was famously the former royal residence of George IV . 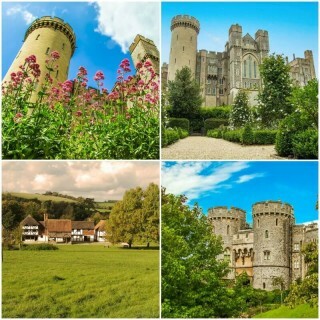 Visit Arundel Castle, one of Britain’s most spectacular and gracious castles. Explore its marvellous gardens and enjoy its beauty. Have a nice cup of tea in the seaside resort of Bognor Regis and visit Weald & Downland open air museum.